Metal Detecting In New Jersey? Metal detecting in New Jersey is legal. But you need to pay close attention to the following ARPA Law(Archeological Resources Preservation Act). You will need to follow the link below for the ARPA explanation. You will see some of the problems people face who break this law. Individuals have been arrested and fined for digging on State and Federal lands. Some of these people knew they were breaking the law, and yet continued to detect and dig. By knowingly breaking the law, they cast a dark cloud over the hobby for the rest of us. The following story was told to me by an individual who lived in New Jersey. As always, I will not divulge the participants names because I respect each individuals privacy. in a local park. However this time he thought he would venture to an area he used to hunt deer on. He remembered seeing old cellar holes and thought it would be fun to metal detect around the cellar hole. 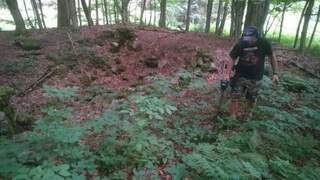 After about half-an-hour of detecting the gentlemen was approached by a Conservation officer. The officer told the man that he was breaking the law by metal detecting on State Land. The officer asked the elderly man to show him what he had dug. Of course the kindly gentlemen was upset, not knowing that he broke a law, and handed the officer a 1879 Large Cent that he had dug a few minutes earlier. The officer told the man that he was going to arrest him and confiscate his metal detector and his coin. Visibly shaken, the gentlemen was placed into the State vehicle the Conservation officer was driving and taken to the local jail. Through this entire ordeal, the elderly man kept insisting that the Conservation officer show him the law that he broke. Of course the officer had no written law on him to show the man. That evening, as the elderly gentleman sat in jail waiting for his attorney to arrive with bail money, he suffered a heart attack. Fortunately, he survived the heart attack, but he ended up paying $5000 to the State of New Jersey for breaking the ARPA law. By the way, no one knows how the State of New Jersey arrived at the figure of $5000. An explanation by the State asked by this mans attorney, never came. For detecting in New Jersey, town, village and city parks, you'll need to check with those local officials. 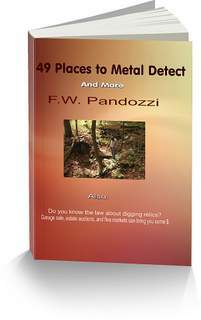 Have you tried metal detecting in New Jersey ghost towns?